Casino Go4Games Hodolany from Ostrava, Czech Republic organise on 16-21 March 2016 the “Redbet Hunter Olomouc”, poker tournaments. – Wed 16 – Mon 21 Mar Kč 165 No Limit Hold’em – Main Event Day 1A. Kč3,000,000 Guaranteed Prize Pool. 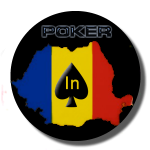 – Thu 17 – Mon 21 Mar Kč 165 No Limit Hold’em – Main Event Day 1B. Kč3,000,000 Guaranteed Prize Pool. – Fri 18 – Mon 21 Mar Kč 165 No Limit Hold’em – Main Event Day 1C. Kč3,000,000 Guaranteed Prize Pool. – Sat 19 – Mon 21 Mar Kč 165 No Limit Hold’em – Main Event Day 1. Kč3,000,000 Guaranteed Prize Pool. – Sun 20 Mar No Limit Hold’em – Main Event Day 2. Kč3,000,000 Guaranteed Prize Pool. – Mon 21 Mar No Limit Hold’em – Main Event Final Day. Kč3,000,000 Guaranteed Prize Pool.